Inequality — the divide between rich and poor — may have contributed to political polarization, but less than media fragmentation. Duca and Saving test for a number of trends but find no statistically significant associations with generational attitudes, voter partisanship, economic conditions or campaign contributions. 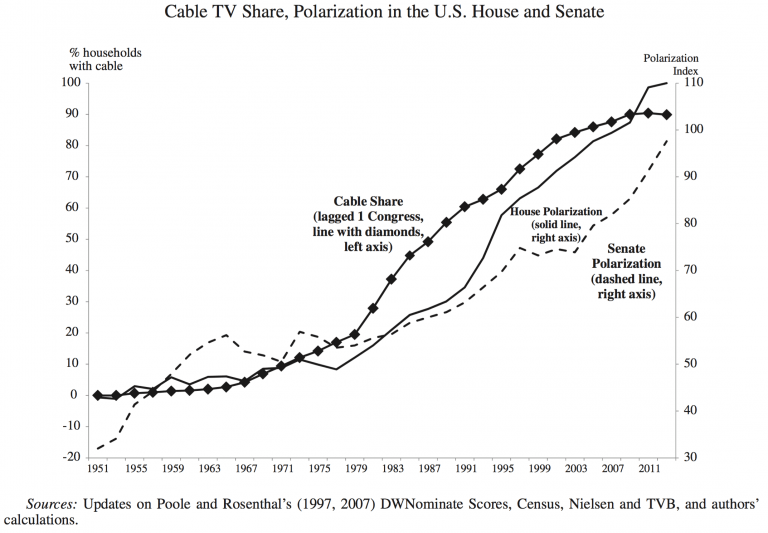 But they do find associations with income inequality and media fragmentation. There is some evidence that Congress is more polarized at the beginning of a president’s second term. How many people experience incarceration as a result of a drug-related crime over a certain time period? What proportion of the prison population at a particular moment in time was imprisoned for a drug-related crime? The answers will differ because the length of sentences varies by the kind of crime committed. As of 2009, the median incarceration time at state facilities for drug offenses was 14 months, exactly half the time for violent crimes. Those convicted of murder served terms of roughly 10 times greater length. First, you don’t have to go to jail at all to get a felony conviction on your record. Second, that felony conviction is going to stay on your record long after you have “served your debt to society.” If the criminal justice system is unfair, it’s not just about incarceration. It’s about losing the right to vote. It’s about losing access to government programs like student loans or food stamps. It’s about the government banning your friends and family from supporting you (if they live in public housing) when you get out. And–most egregiously of all–it’s about a scarlet-F that will follow you to every job interview and ensure that long after you are outside the prison walls you are still practically barred from building a new life for yourself. There’s lot at stake here, folks, and it’s not just about violent crime. Eliminating policy barriers to international labor mobility would increase global wealth by between 50-150% of world GDP (pg. 13). “For all its radicalism, open borders’ main effects are fairly well understood. Open borders would dramatically increase global production. It would drastically reduce global poverty and global inequality. At the same time, open borders would make the remaining poverty and inequality much more visible for current residents of the First World” (pg. 185). Immigration has little to no effect on native wages and employment. What effects there are tend to be negative, but small and temporary (pg. 30). In fact, it is mainly those without high-school degrees who lose out in the short run, yet see their wages increase in the long run (pg. 19). Immigration generates an annual efficiency gain for Americans of between $5 and $10 billion (pg. 21). Immigrants boost the demand side of the economy (pg. 42-43). Immigration has little to no impact on the government budget (pg. 63). A typical immigrant may impose a $3,000 net fiscal cost herself, but her descendants have a positive net fiscal contribution of $83,000, producing an $80,000 surplus (pg. 61). Immigrants today tend to assimilate more than they did a century ago (pg. 90). New research finds “that greater immigration was associated with small improvements in economic institutions or had no effect at all” (pg. 211). In other words, immigrants don’t import negative institutions. And much more. You can see a Cato Institute lecture on the book below by editor and Texas Tech economist Benjamin Powell. 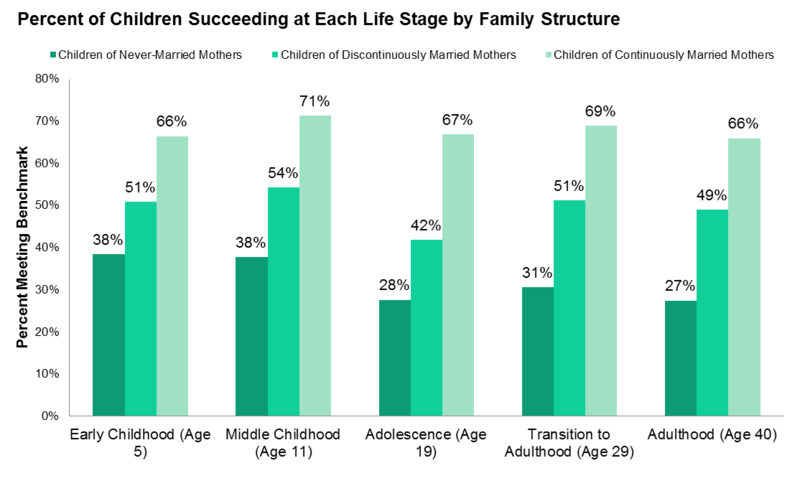 If the benefits of marriage for children can be explained by other observable characteristics of the family, and especially money or parenting behavior, then policy may be more successful if focused on those pathways. It would be convenient to find the magic bullet – the one family input that really matters – but of course the truth is messier. Children’s life chances will be influenced by a complicated, shifting mesh of family characteristics (and many other factors outside the family). Marriage is a powerful means by which incomes can be raised and parenting can be improved. But marriage itself seems immune to the ministrations of policymakers. In which case, policies to increase the incomes of unmarried parents, especially single parents, and to help parents to improve their parenting skills, should be where policy energy is now expended. marriage itself fosters higher income and better parenting among today’s parents. 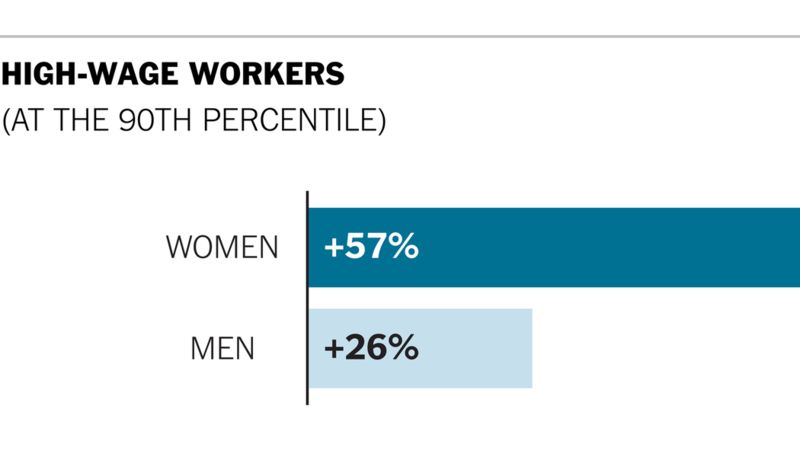 For instance, men who get and stay married work longer hours and make more money than their unmarried peers. And fathers and mothers who are in an intact marriage tend to engage in more involved, affectionate, and consistent parenting than their peers in single- or step-families. The bigger point is this: you cannot easily strip marriage of its constituent parts, such as more money and a supportive parenting environment, give those parts to parents apart from marriage, and expect that children will do as well, apart from marriage. This is the title of a brand new study out from the National Marriage Project at the University of Virginia. Perhaps unsurprisingly, the study found that having a child before marriage, beginning a relationship by “hooking up,” having multiple sexual partners before marriage, and serial cohabitation can lead to lower marital quality in the future. The data indicate that making intentional decisions rather than simply sliding through relationship transitions increases marital quality. What was especially interesting to me was that formal weddings can actually increase marital quality. Furthermore, the number of wedding attendees can also impact marital quality. Today, job prospects for young men are far less favorable. Real wages for men under age 35 have fallen almost continuously since the late 1970s, and those with only a high school diploma have experienced the sharpest losses. Between 1979 and 2007, young male high school graduates saw a 29 percent decline in real annual earnings — an even steeper decline than the 18 percent drop for men with no high school diploma…Women’s wages, by contrast, have risen significantly since the 1970s, except for those on the very bottom…Meanwhile, women’s expectation of fairness and reciprocity in marriage has been rising even as men’s ability to compensate for deficits in their behavior by being “good providers” has been falling. Low-income women consistently tell researchers that the main reason they hesitate to marry — even if they are in love, even if they have moved in with a man to share expenses, and even if they have a child — is that they see a bad marriage or divorce as a greater threat to their well-being than being single. If women lowered their expectations to match men’s lower economic prospects, perhaps marriage would be more common in low-income communities. But it would most likely be even less stable, and certainly less fair. Turning back the inequality revolution may be difficult. But that would certainly help more families — at almost all income levels — than turning back the gender revolution. Although the authors put too much stress on economic explanations-their approach cannot explain, for instance, why the economic dislocation of the Depression did not result in high levels of family breakdown in the 1930s-the story told by “Marriage Markets” is worth heeding, whatever one’s political affiliations. Conservatives need to take note of the growing family divide in part because fragile families require more public aid, from Medicaid to food stamps: As marriage goes, so goes the tradition of limited government. Progressives, for their part, might well worry that the family divide begets not only economic disparity but also gender inequality. After all, communities where fathers are largely absent from their children’s day-to-day lives do not come close to approximating the egalitarian ideal championed by today’s left-of-center thinkers and activists. …What, then, is to be done? Ms. Carbone and Ms. Cahn offer a number of good suggestions, such as job-relocation grants for laid-off workers (to help them move away from high-unemployment regions to those with jobs) and portable health plans that allow workers to seek out the best job opportunities instead of clinging to bad, low-paying jobs for the sake of their benefits. But the authors also think that the way forward requires strategies designed to “enhanc[e] women’s power”-such as “improved access to contraception.” …Perhaps. But a stronger case could be made that the bigger challenge facing working-class and poor families is not a lack of female empowerment but rather that contemporary masculinity has been decoupled from work, fatherhood and marriage-and for reasons that are not entirely economic. Good stuff. Check them out. 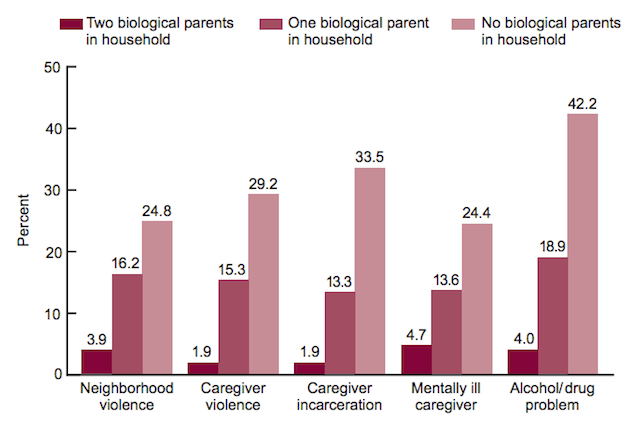 The second report provides a snapshot of children’s health in the United States and its relation to family structure. 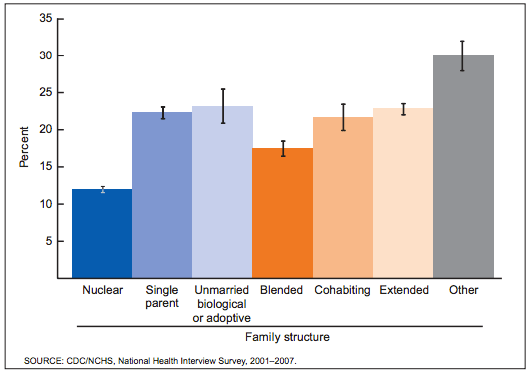 Overall, those in nuclear families (i.e. children “living with two parents who are married to one another and are each biological or adoptive parents to all children in the family”) fared better than those in other family structures. Children in nuclear families were least likely to be in “good,” “fair,” or “poor” health as opposed to “very good” or “excellent” health. Check out the full reports.